Such worries. 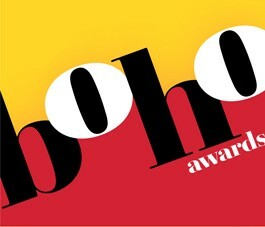 Choosing the five recipients of our 10th annual Boho Awards, which honor those people and institutions whom we think have made a particularly stellar contribution to the community in the field of the arts, is tough work. Tough, because there are so many wonderful and deserving people and institutions to select from. Once we start discussing the possibilities, we are regularly astounded at the North Bay's good fortune in having within its slim geographic boundaries so many artist and visionaries contributing regularly to our rich communal life. But we constrain ourselves to just five, this year pulling the Marin Theatre Company and Kate Kennedy and her Avalon Players from the robust theater community; Santa Rosa's Dance Center from the distinctly underserved field of fine art movment; Napa's utterly flooring slate of goodness also known as the Festival del Sole, just completing its second year and already legendary for the breadth and value of its performing slate; and the kids of the Shop, a Sonoma-based music and teen center entirely run by its young participants with little need for such as adult oversight. We fete our winners and the public at large with an awards party, scheduled for Thursday, Oct. 18, at the Glaser Center (within the Universal Unitarian Church, 547 Mendocino Ave., just south of College Avenue, Santa Rosa), from 5:30pm to 7:30pm. Porch punk rockers Stiff Dead Cat will perform, chef Tai Olesky of Forestville's Mosiac Restaurant and Wine Bar is kindly handling the food and surprises are guaranteed. This event is free and open to the public. We hope you'll come down and help us celebrate this year's roster of stars.